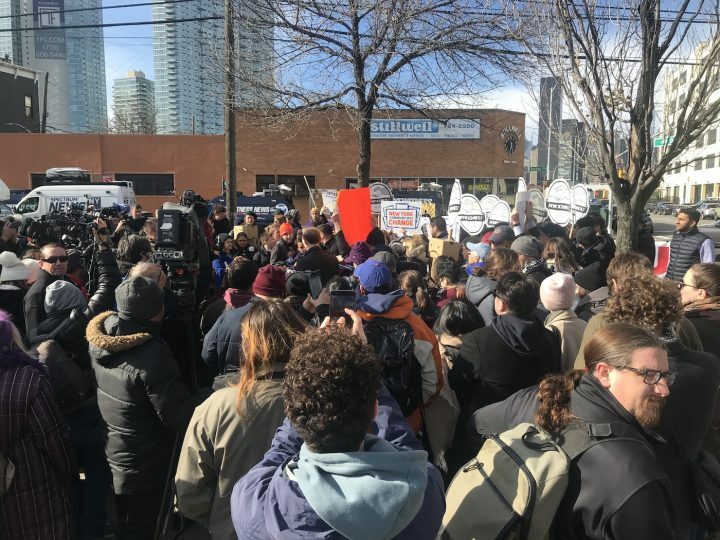 Nearly 250 people gathered today, November 14, in Long Island City to protest the controversial announcement as arts organizations held their breath to see what financial fortunes might come their way from Amazon’s touchdown in Queens. 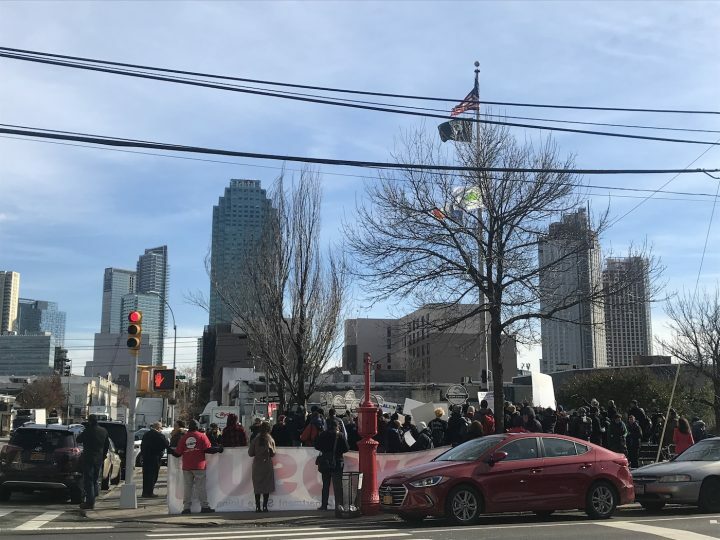 Backlash against Amazon’s decision to build one of its new corporate headquarters in New York City is already gaining momentum with the energized and incensed residents of Long Island City (LIC), Queens. Approximately 250 people gathered on Wednesday, November 14 at the corner of Vernon Boulevard and 44th Drive near the site of Amazon’s newly announced office. Protesters assembled an ad hoc press conference led by New York State Senator Michael Gianaris and Council Member Jimmy Van Bramer, both Queens government representatives. Joining them was recently-elected State Assemblywoman Catalina Cruz and members of Local 338 RWDSU (Retail, Wholesale, Department Store Union). “Strap yourself in and get ready,” warned Gianaris as he began his speech. One day later, Amazon detailed its decision in a blog post, which said that the company would receive $1.525 billion in performance-based direct incentives for its LIC project from state tax credits. The company says that the average employee wage there will be $150,000 and that the headquarters will provide an estimated incremental tax revenue of more than $10 billion over the next 20 years. The announcement comes after a 14-month competition between cities across North America for the favor of the world’s third-largest retailer, which critics have denounced as a scheme designed to accumulate valuable data from cities to expand Amazon’s market power and sideline competitors in the future. 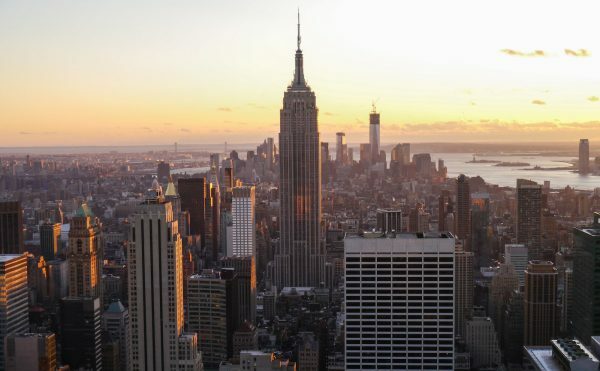 “New York City is about to get tens of thousands of new, good paying jobs and Amazon is about to meet the most talented work force in the world in one of the most diverse places on the planet,” tweeted New York City Mayor Bill de Blasio. Since the Amazon announcement, the mayor has come under significant criticism for his bilateral agreement with Governor Andrew Cuomo (typically De Blasio’s political nemesis) to sidestep City Council and public review by greenlighting the project through Empire State Development, a corporation under the governor’s control. The seemingly undemocratic maneuver has enraged City Council members, some of whom attended today’s rally. The mayor’s office has not responded to Hyperallergic’s request for comment. For Queens residents, their worries hit home in LIC, a neighborhood that has already seen rapid gentrification over the last ten years. Many believe that Amazon’s presence will have a ripple effect across the borough, inflating rent prices and ejecting low- and middle-income renters from the area. Investors have already begun rapidly buying property — sometimes via text message. The new Amazon headquarters is projected to create 4 million square feet of new office space on the East River’s coast, with an opportunity to expand to 8 million square feet, which would be approximately as big as their current Seattle office. The deal also includes a promise that taxpayers will help secure a helipad for Amazon executives. The Washington Post calculates that state and municipal governments will fork over a total of $2.8 billion in incentives for Amazon’s expansion plans. At the rally, government officials indicated that those numbers may be higher than originally thought. 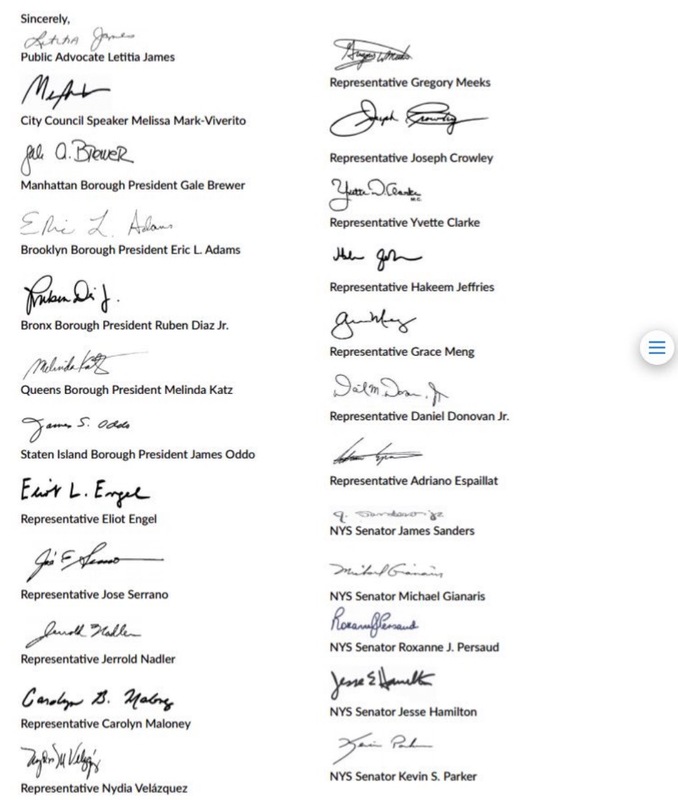 Here is a list of New York officials who signed in support of New York’s Amazon bid. 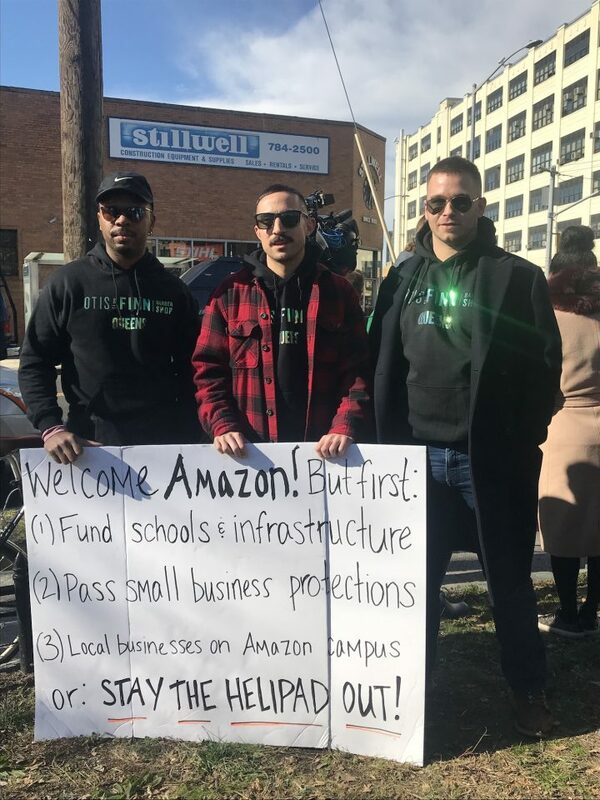 Tania Mattos, outreach director for Queens Neighborhoods United (QNU) tells Hyperallergic that Amazon’s presence in the borough is wholly unwanted because of the company’s track record of abusing workers, relying on short-term employees without benefits, and using bullying tactics to push small businesses out of the market. “Most recently,” Mattos says, “Amazon colluded with ICE and police departments across the country to create a bug-ridden, racially-biased facial recognition software that puts our communities in danger. Amazon holds the largest share of government contracts to maintain databases about detainees and undocumented people. Museums, nonprofits, and galleries are taking a very cautious approach to the Amazon news, waiting to see what fundraising opportunities the tech behemoth might bring to their groups. 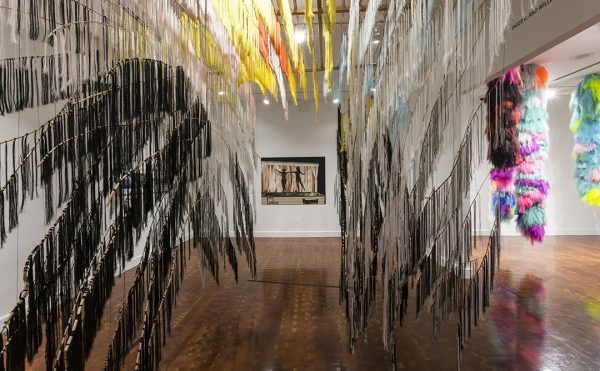 Mary Ceruti, the recently-announced outgoing director of SculptureCenter notes that Amazon’s effect on artists in the area will likely be minimal because the neighborhood has not been affordable for many years. For more than thirty years Socrates Sculpture Park has staunchly supported our Long Island City community, beginning with transforming a derelict waterfront parcel of land into a thriving artistic venue, community hub and public park. LIC is rapidly changing and today’s announcement of Amazon’s move will advance its growth even further. We will continue to work with our community, NYCHA residents, local elected officials, and business leaders to ensure the cultural and civic life here in LIC remains vibrant for both longstanding residents and newcomers. MoMA PS1, which is situated a few blocks away from the Amazon HQ2 site, did not respond to Hyperallergic’s multiple requests for comment before the publication of this article. Flux Factory, a nonprofit LIC gallery known for its community programming, also did not respond to requests submitted over email and Twitter. The Noguchi Museum told Hyperallergic that it was not prepared at this moment to deliver a response to the Amazon HQ2 proposal. 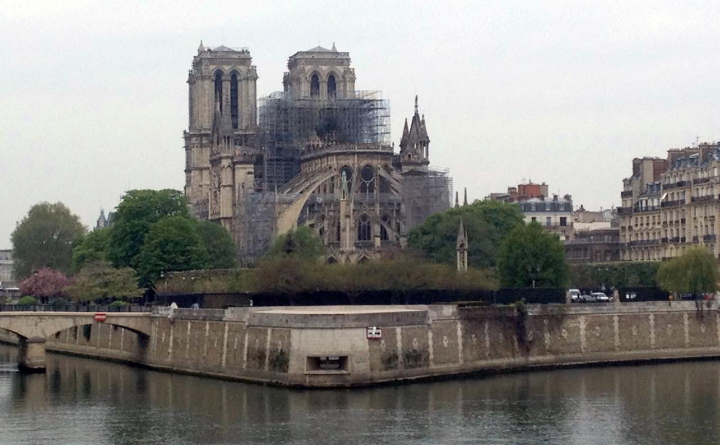 One member of the arts community who would speak about the recent news was Gonzalo Casals, executive director of the Leslie-Lohman Museum of Gay and Lesbian Art in SoHo. 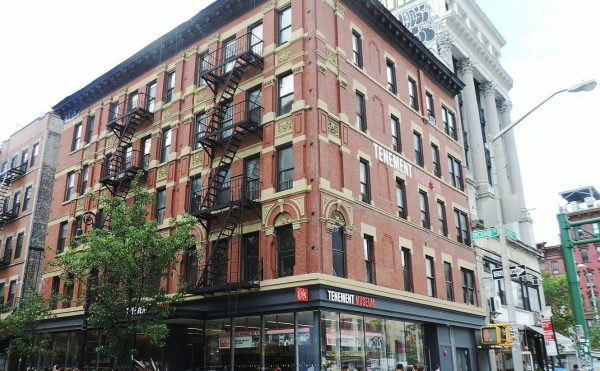 A longtime resident of the nearby Jackson Heights neighborhood, he says that LIC’s rapid gentrification has already reached more remote areas like Kew Gardens and Flushing. Amazon, New York state, and the City have pledged $5 million each for workforce development initiatives, including technology training programs targeted at local public housing residents and high school students, to prepare the Queens community for jobs at the retail behemoth. But that program is unlikely to produce graduates ready for high-level jobs at the headquarters in time for the office’s opening. One counter-demonstrator at the rally spoke to reporters about his opinion on the controversial Amazon headquarters. The man, who did not give his name to Hyperallergic, said that he has lived in LIC for 65 years. 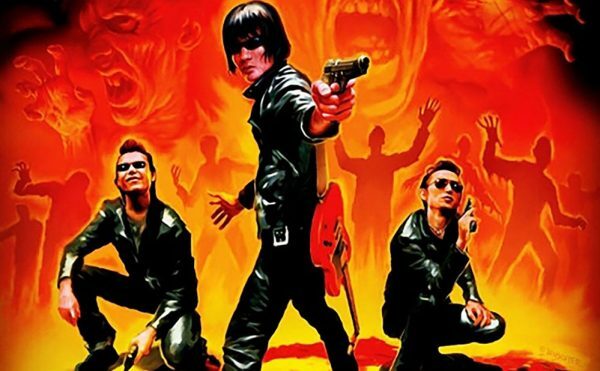 “I’m a working-class guy. I’m interested in who is the janitor and who is the security officer. Those are still decent jobs that can be filled by people from the neighborhood.” While he sympathized with those objecting to the politics behind the decision, he still thought Amazon would be a net benefit to his community. As he spoke, Assemblyman Ron Kim delivered a speech to the crowd. “It’s our money [Governor Cuomo] is giving away. Are we an oligarchy or a democracy?” The crowd cheered their response, a resounding call for democracy.